The engineers at Porsche have developed the new 911 Turbo S in response to customer demand for greater power, performance and driving dynamics. Building on the success and reputation of the revered 911 Turbo, at the heart of this most exclusive high-performance athlete is a six-cylinder ‘boxer’ engine boosted by two turbochargers with variable turbine geometry. 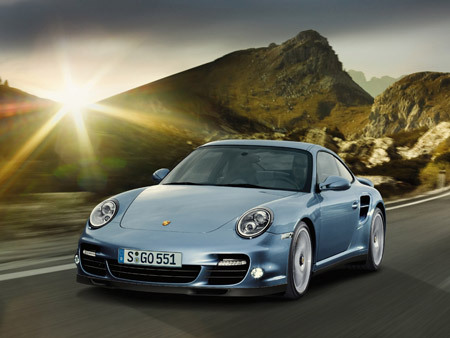 An increase in horsepower over the 911 Turbo of 30 hp boosts peak output to 530 hp (390 kW) and maximum torque is a most impressive 700 Newton-metres. Despite its significant increase in power and dynamic performance, the new 911 Turbo S returns 24.8 mpg Combined (11.4 l/ 100 km) and as such offers identical fuel consumption to the regular Porsche 911 Turbo, making it by far the most efficient sports car in its performance class. 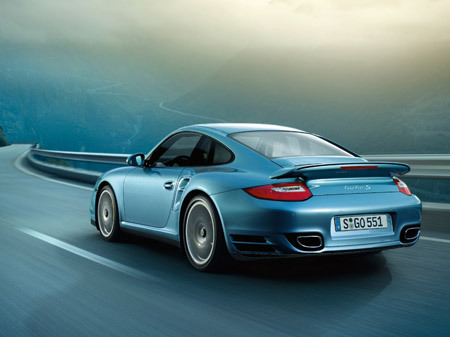 The 911 Turbo S offers as standard the high technology features that are otherwise available as options on the 911 Turbo. Thus, the Turbo S comes exclusively with the seven-speed Porsche Doppelkupplungsgetriebe (PDK) double-clutch gearbox – with steering wheel-mounted paddle shift levers – which conveys drive power to Porsche Traction Management (PTM) all-wheel drive. 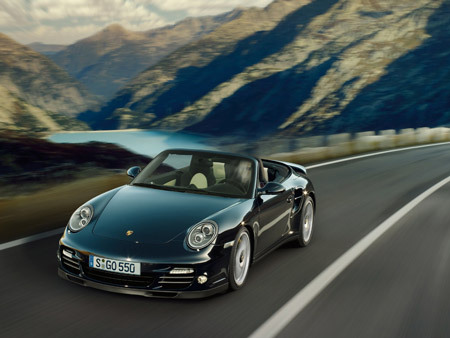 Driving enjoyment and safety is optimised to an even higher standard courtesy of the Dynamic Engine Mounts, and Porsche Torque Vectoring (PTV) including a mechanical limited slip rear differential. In conjunction with the Launch Control function of the Sport Chrono Package Turbo that is also fitted as standard, the 911 Turbo S accelerates from a 0-100 km/h in 3.3 seconds and reaches 200 km/h in 10.8 seconds. Top speed is 315 km/h. Lightweight and fade-resistant Porsche Ceramic Composite Brakes (PCCB) provide the same outstanding performance in terms of stopping power. Further underlining the outstanding class and calibre of this first 911 Turbo S in five years, the supreme level of standard equipment also includes Dynamic Cornering Lights, 19-inch RS Spyder design wheels with centre lock nut, adaptive sports seats, cruise control, a CD/DVD changer and exclusive two-tone leather upholstery in Black/Creme or Black/Titanium Blue. The new model will debut at this years Geneva Motor Show.